This mouse is certainly a great way to advance all gamers confidence and will give gamers an edge over the competition. Absolutely worth the investment and results and improvements from this mouse will not go unnoticed. The Corsair Vengeance M65 gaming mouse is an amazing mouse with awesome controls and features. The M65 allows gamers to program their preferred settings and take those settings anywhere with them, due to the fact that the settings are actually stored in the mouse itself. Some gaming mouses will allow the gamer to change or tweak the setting, but not to have those settings stored in the mouse. 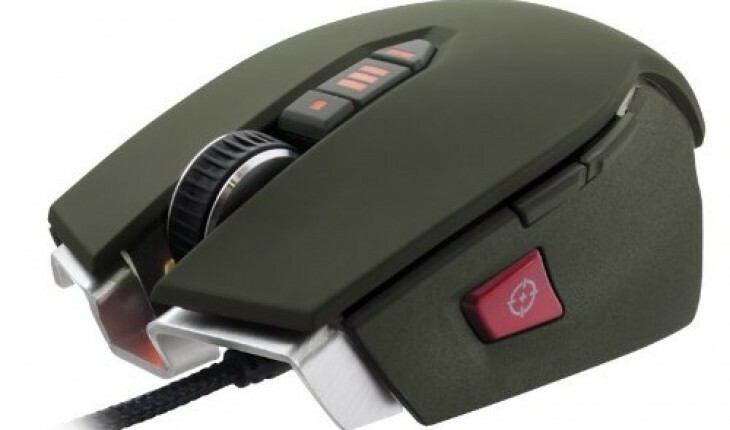 Most gaming mouses require that users redo the settings every time they use them on another computer or PC, but not the M65. The M65 has other features as well such as an 8200 DPI laser sensor. This allows gamers to have the most advanced accuracy in controlling on screen action and suspenseful situations within a game. There is an amazing sense of control and accuracy with this mouse that other gaming mouses will not give you. Most gamers know that there is almost nothing than worse than having a mouse that doesn’t cooperate and coordinate with them. The M65 also comes with a feature called a dedicated sniper button. This feature allows gamers to quickly zoom and change resolution so that they can experience the thrill of those awesome headshots and kill-shots. This is definitely a great feature that the M65 gives to it’s users. All gamers will love the ability to shoot with amazing speed and accuracy. Yet another feature of the M65 is the ability to choose between multiple different response times. This feature is certainly a hit with gamers. The ability to choose a specific response time allows gamers to be more precise and timely than ever. Examples of these response times are: 1000Hz, 500Hz, 250Hz, and 125Hz. The M65 is available in different colors and is extremely lightweight. This gaming mouse ranks supreme among the gaming mouses available today. Whether a beginner or a seasoned gamer, the M65 without a doubt enhances the gaming experience and the abilities of the gamer. This mouse is certainly a great way to advance all gamers confidence and will give gamers an edge over the competition. Absolutely worth the investment and results and improvements from this mouse will not go unnoticed.